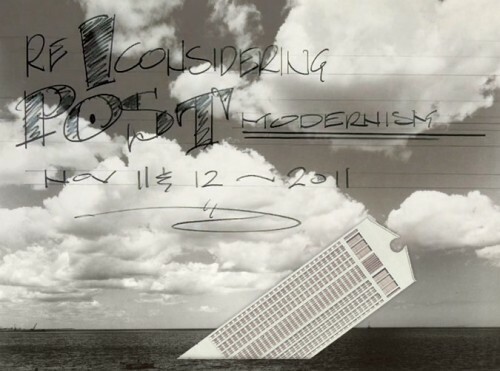 Postmodernism, the exuberant, eclectic, and ironic style born out of the death of the modernist dream in the 1960s and 70s, was the subject of the two-day-long “Reconsidering Postmodernism” conference last weekend, presented by the Institute of Classical Architecture & Art, at the CUNY Graduate Center in New York. The two marathon days of lectures, panels, and videos was filled with the original rock stars of the postmodernist world, including architects Robert A. M. Stern and Michael Graves, theorists Charles Jencks and Tom Wolfe, urbanists Andres Duany and Elizabeth Plater-Zyberk, and a small but passionate younger crowd who couldn’t help but revel in the rambunctiousness of their vaunted forebearers. The beginning of postmodernism, an active topic at the conference, was assigned multiple dates. It was either with the demolition of the Pruitt-Igoe low-income houses in 1972, which Charles Jencks defines as “the day modernism died,” with the publication of Robert Venturi’s Complexity and Contradiction in Architecture in 1966, perhaps with the opening of Morris Lapidus’ first bodacious beach resort in 1949, or it even could have been at the beginnings of modernism itself, when hairline cracks in the modernist utopian vision had already begun to form. There were even Italian precedents: in the 1950s Torre Velasca, designed by Ernesto Rogers in Milan, and the Venice Architectural Biennale of 1980. Something about the conference compelled people’s interest in the big, chronically under-discussed themes of architecture. Andres Duany championed a broader classical canon, through his 175 (and counting…) orders of classicism. A discussion of stylistic evolution was continually present, causing architectural writer Witold Rybczynski to come to the conclusion at one point that taste is more important than style. “This is something we don’t discuss, but should” was a phrase uttered by many over both days. The conference showed that postmodernism is still controversial, but also that it is extremely alive today, proving to be a resilient and long lasting force in architecture. Reasons for this were debated. Barry Bergdoll, the Phillip Johnson Chief Curator of Architecture and Design at MoMA, asked if postmodernism was an attitude or a movement, suggesting the possible eternality of the mode, and that PoMo is not only analogous with the Mannerist or Hellenistic phases of architectural history, but actually the same thing. If modernism discarded everything that came before it, and began from “level zero,” as Gropius said it did, then postmodernism is letting everything flood back in, picking up where the world left off, and making a joke of it to lighten the mood. The “joke” of postmodernism was an important conference theme and recurred frequently. Humor mitigates the promotion of dogma, which was seen as a cause of modernism’s failure, and forces postmodernism to embrace its own flaws. Jokes also accept the world for what it is. As one conference-goer said, “The world isn’t as black and white as it used to be.” Humor was fantastically present over those two days. ICAA president Paul Gunther’s opening remarks on the morning of day one called postmodernism “A case of multiple personality disorders” before becoming a bit more serious and stating, correctly, that the purpose of the next two days was to “overcome the denial of postmodernism.” If not completely embraced by all in attendance, the conference at least succeeded in doing that. At the end of day two, with everything having been said, the final panel was oddly mellow and subdued. Perhaps nobody wanted to leave the reunion, or perhaps the gauntlet was being handed to the young people in the room, like Sam Jacob of the U.K. architecture firm F.A.T., architect and writer Jimmy Stamp, or any others of the wacky new generation of postmodernists.